Among the general public, Adobe is possibly one of the most under-appreciated digital media companies in existence. However, among the thousands of people who use their digital tools to the fullest, such as Photoshop, Adobe is something they can’t live without. Adobe has a few key nichesâ€”with their newest niche being in stock images. Stock images aren’t exactly a new or unique service. Adobe’s images come down to preference and ease-of-use with their other software. Adobe calls it Adobe Stock. It is a stock photo image service very much so like what you would find other commercial stock photo image sites. They don’t really offer anything new. It only makes sense that Adobe would begin to provide these images considering who they are. They are the authors of the most widely used and widely respected photo editing software on the market. No other software has come close to matching or beating Photoshop in terms of ability or features. Photoshop is the industry standard and has been for a long time. The one thing that Adobe has is integration with its current software lineup. Pick a photo, purchase it, and download it directly into Photoshop CC, Illustrator CC InDesign CC, and any other desktop app that Adobe currently supports. As a stock photo service, however, their image offerings aren’t anything that stands out. Don’t get me wrong, high-quality image sites offer images you can’t find anywhere else. Adobe Stock is one of those sites. If you searched for stock photos on Google Images, the quality of the images isn’t the same. And we’re not just talking about the resolution. We’re talking about relevancy, the ability to convey a message, and uniqueness. These are all factors that go into a quality stock image site. 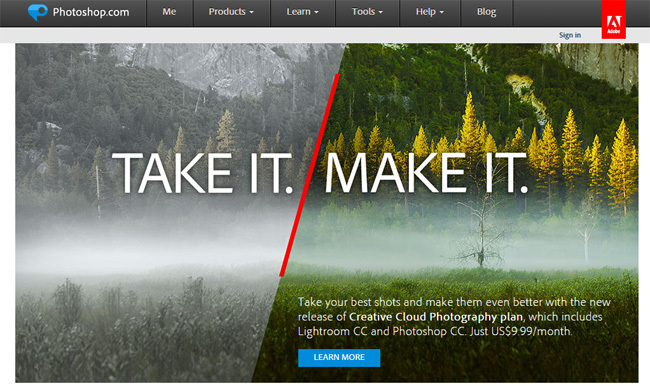 Adobe offers 21 distinct categories in their images. The images include more than just photos they include vector drawings and illustrations. Marketers who wish to convey a very specific message are much better off relying on a stock image service to save time, have royalty-free images, and have images that are worthy to be used as a faceâ€ for their business. There are some categories that can be difficult to convey using photos particularly abstract categories such as Social Issues or States of Mind. I can go get a photo of a physical object like an apple quickly and easily, but if I wanted to convey an abstract or complex message, I’d be much better served subscribing to a stock image service such as Adobe. They may not stand out among some of the stock image giants that currently exist, but that is not mean they are not a quality site. They offer quality photos, images, vector drawings, and illustrations everything you would expect from a commercial stock image service. Check some Adobe stock review here. Where to buy Stock Photos from the Best Stock Photo Sites? © 2019 Copyright PraPdesign.com. All Right Reserved.